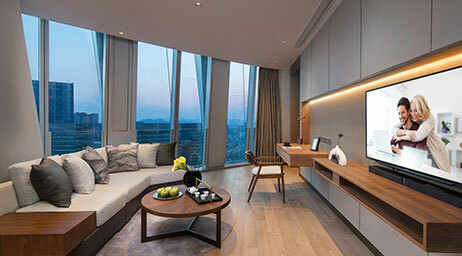 The façade and landscape design of Ascott Raffles City Hangzhou draws inspiration from the Qiantang Lake – the layered curves simulate the water ripples and the beauty of nature. Raffles City is the first mixed development in the Zhejiang Province to receive the prestigious LEED (Gold) certification for green buildings. 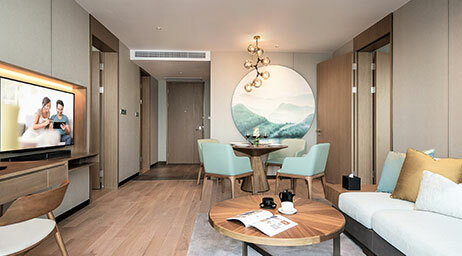 Interactive spaces within the serviced residence are inspired by the “Residence of Silk”, channeling elegance with the concept of flow and continuity, adjoining the curves of the ripples. 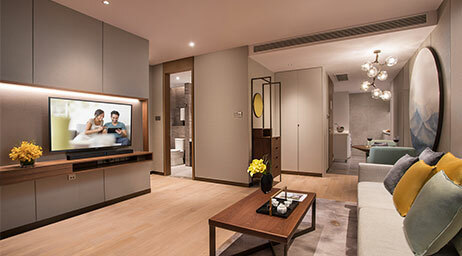 Through cleverly utilised space, the experience at our residence speaks of understated elegance. You can soak in the peaceful tranquility of the West Lake from the Twin Towers, or watch people go by in the central business district and tap into the rhythm of this mesmerising city. 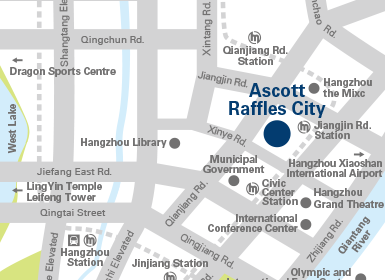 Ascott Raffles City Hangzhou has with 180 comfortable and elegant apartments, ranging from studio to three-bedroom apartment for you to select from. Each apartment comes with a living room, dining area, fully-equipped kitchen and high-quality home audio system, creating a holistic experience for you. 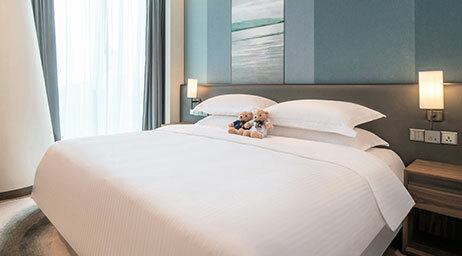 The serviced apartment also has a range of other facilities including a breakfast lounge, gymnasium, swimming pool, children's playroom, SPA services, making it ideal for both extended or leisure travellers. 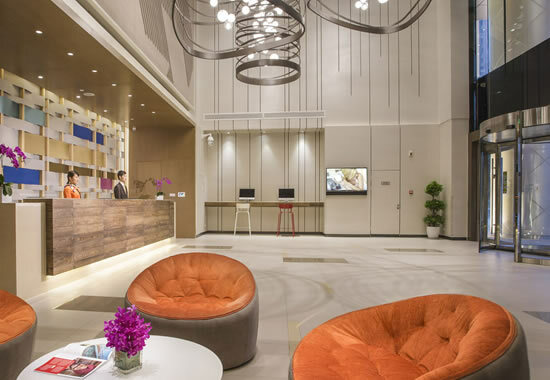 Availability of high-speed Internet access, conference room and other business support services also makes it a perfect option for international business travellers. In addition, 24-hour security and lift control system will allow you and your family to have peace of mind, making it the home of choice away from home.